The first person who comes to my mind when I think of #madeofgreat is her, my source of inspiration, my loving grand-mother. 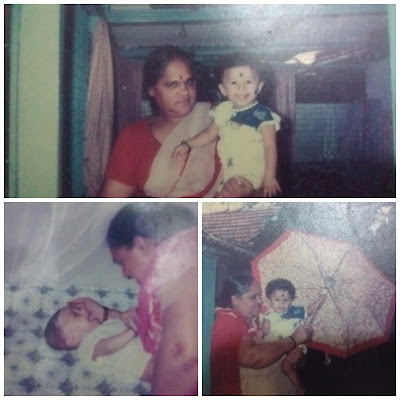 I call her aai (Marathi word for 'Mother') even though she is my grandma. And why shouldn't I!! Even before I took my first breath in this world she cared for me by nurturing my mother when I was in her womb. She is the one in whose hands I feel joyous. Holding her hand I walked in every garden in the vicinity. She truly did and still shows what 'Unconditional Love' is. I think that's what drives her and makes her who she is. A loving, caring person filled with life. She is, no doubt THE BEST COOK in my life. I swear by my words that I eat ANYTHING she cooks even when I hate that vegetable (lady-finger to be precise). I love her cooking so much! Her new recipes that she tries even today are such a delight to me that I give her the credit to make me a foodie. 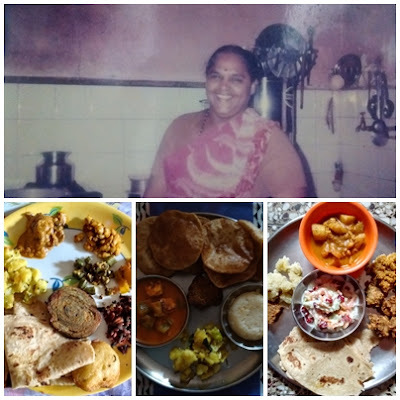 She calls everyone on all festive occasion and serves them home-cooked food with love. Her dawat (feast) not only fills my tummy but gives energy to my soul. This fearless attitude of her trying new things even at the age of 76 has a great impact in my life which teaches me that; only when you try you’ll succeed. Rhyme is the only way I think I could express myself and how she is my world to me. The way that stubborn little boy made Lionel Messi GREAT! In the same way my aai (grandma) is great by her unconditional love & young heart which never stops trying new things. Do visit http://madeofgreat.tatamotors.com/ for more greatness. Tell me “What do you think of Tata Motors association with Lionel Messi?” The best comment will get a chance to win Amazon Voucher worth Rs. 750.